Our Appliance Repair masters in Airdrie are always ready to provide you with the washing machine services you need. We offer competitive prices in order to deliver the combination of quality and affordability. You’ll definitely be satisfied after our experts have your washer working again. 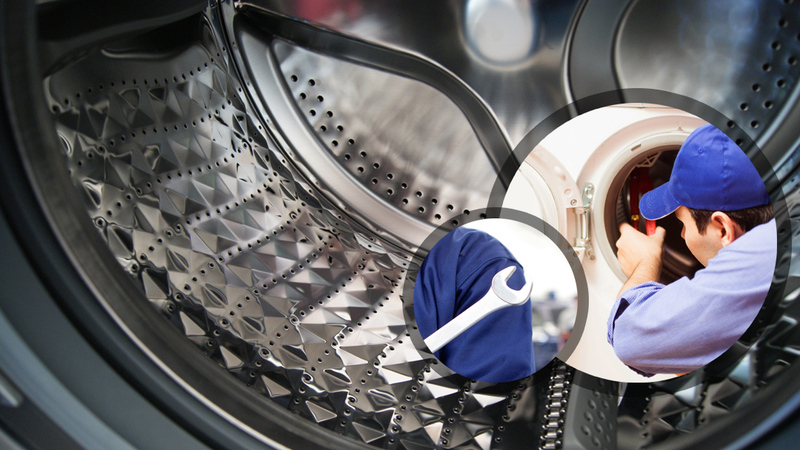 We repair washing machine units quickly, professionally, and with a friendly attitude. You’ll never be greeted with anything but courtesy when you call on us. In fact, our washing machine repair service is definitely worth every penny when you consider how expensive it would otherwise be to replace the unit, or opt to just use laundromats, which can be very expensive in the long run. It’s a much better idea to let our experts provide quick and affordable laundry machine repair to keep your laundry machine going for a good long time. When our experts work on any washer, they utilize their washer service checklist, ensuring that each and every job is performed with the same level of efficiency and speed. This makes for fast repairs each and every time we’re called upon. We hope you will call on us here at Appliance Repair Airdrie for all of your washer needs. Our washing machine specialists are experts at providing washer installation. As long as your home has current working hookups for the washer, our experts can install it without any issues in a very short amount of time. This saves you time and stress, and you get the added benefit of knowing that your washer will work perfectly once our experts have it installed. For the best prices in Airdrie on washing machine services including repair and installation, call Airdrie Appliance Repair today. We’ll work hard to give you a satisfying experience that you won’t soon forget.